Caption San Francisco's famous gay neighborhood gets dressed up to celebrate its heritage with this street fair featuring arts and crafts music dancing and food. Always the first Sunday of October and always exactly one week after the Folsom Street Fair! 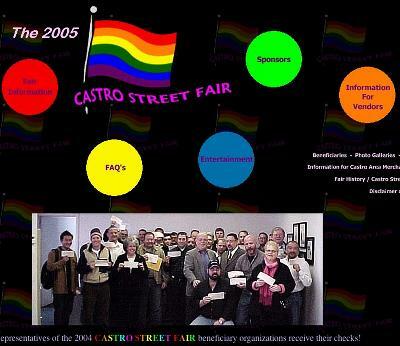 Headline OCT: Castro Street Fair.